I’m making another post this evening because I may not get the chance to get on the computer tomorrow. I’m going to the fair. I’m not sure when I will get back home or how tired I will be. 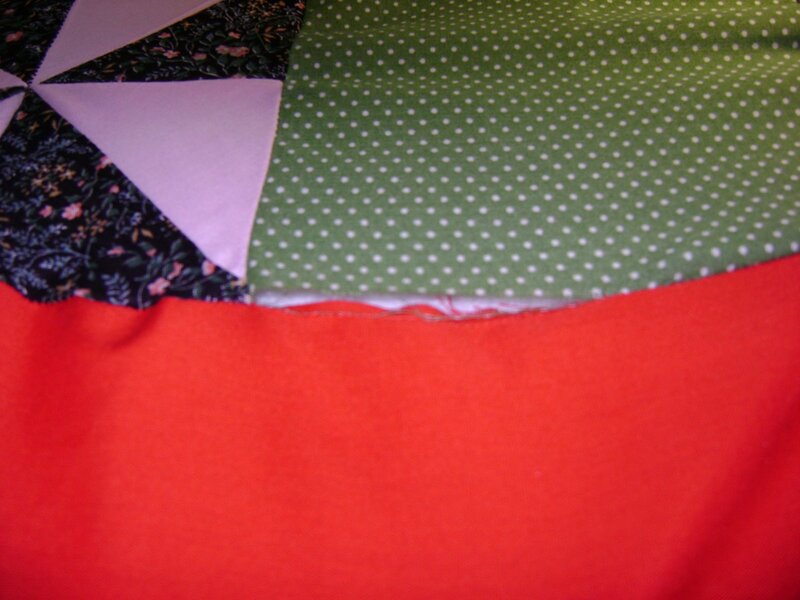 Today, I got down to the last rows on the current quilt when I decided to call it a day. It’s late, after 8:00 and I’ve worked on it continuously since this morning about 6 I think. 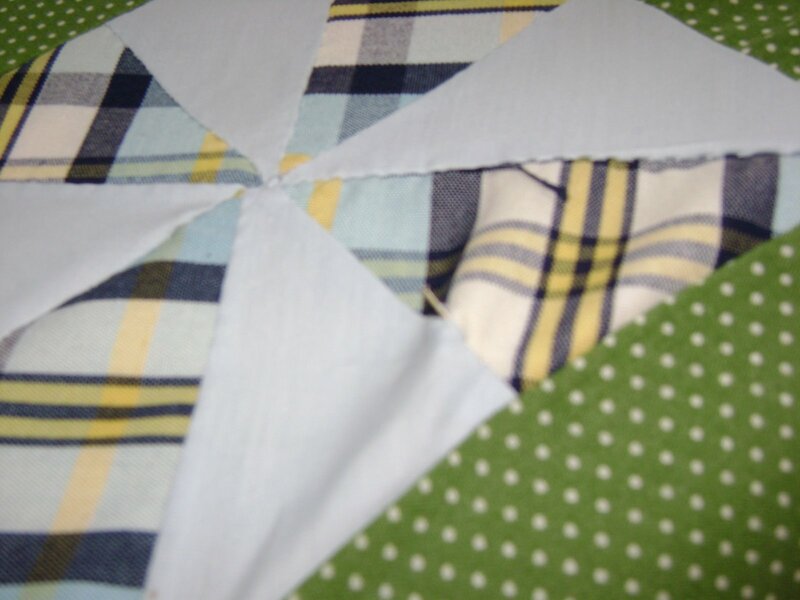 While quilting I had to watch for straight pins left in the seam lines of the top so I wouldn’t break a needle. Then I also had to watch for unsewn seams to prevent sewing the hopping foot into them. So far it’s looking like it will be fairly flat when finished. It probably won’t be square…. but I’m doing my best. I’ll take some pictures at the fair and share them with you in my next post. 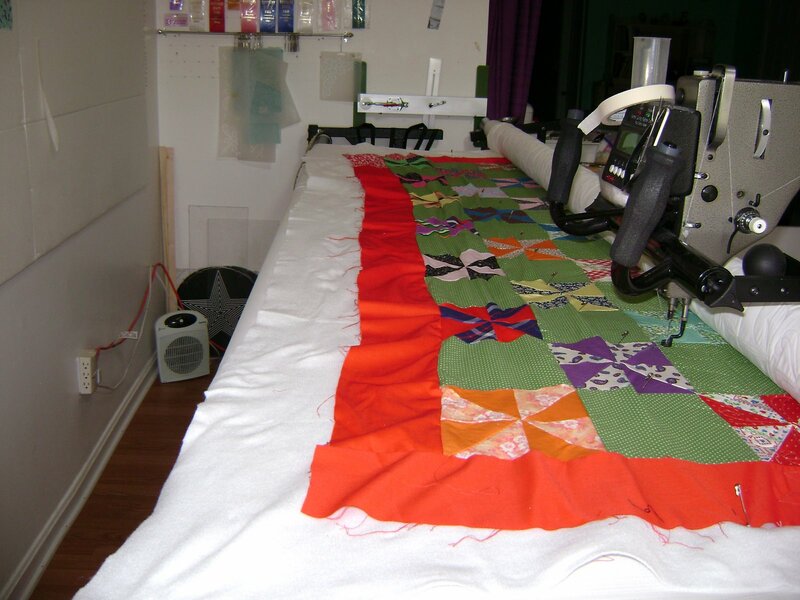 This entry was posted on August 13, 2008 by Anita in QUILTS - CUSTOMER, Vintage tops.